Caledonian Optical is poised for expansion following the completion of a £1.3m refurbishment at its laboratory in Aberdeen. The refurbishment was possible due to support from the Business Growth Fund (BGF), an independent company backed by five of the UK’s main banking groups – Barclays, HSBC, Lloyds, RBS and Standard Chartered – to help growing smaller and medium-sized businesses. 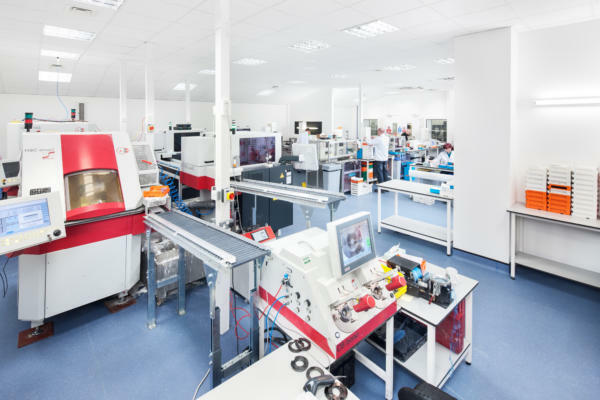 The Duncan & Todd Group has invested in state-of-the-art optical manufacturing equipment for its laboratory, including a £500,000 in-house coating facility, making it the only Scotland-based prescription lens manufacturer to have this capability, according to the company. In addition to producing lenses for the Duncan & Todd Optical Group, Caledonian Optical supplies other opticians and laboratories throughout the UK and Ireland. A second machine line has also been installed, doubling production capacity in the laboratory and cutting order turnaround times. A further £250,000 investment is planned this year in order to complete the automation of the production line. Investing in the new equipment supports Caledonian Optical’s expansion plan, through which the company aims to double its revenues from external customers. Managing director at Duncan & Todd Group, Frances Duncan, said: “The investment made by BGF has enabled us to buy new manufacturing equipment and refurbish our manufacturing unit in Aberdeen. “Growing the business in this way was one of the factors that attracted BGF to the company in the first place and encouraged us to make our follow-on investment,” he concluded.